EasyFlex professional grade aluminum landscape edging, by Dimex, LLC. is the perfect choice for owners and contractors alike. Its name speaks for itself because installation is easy. Simply slide the ends of the material together with an approximate 4 inch overlap and insert the provided spikes at a 45 degree angle and enjoy a permanent and virtually maintenance free solution to the infamous curb appeal dilemma. When calculating linear footage needed for area, allow for recommended overlaps. EasyFlex will not rust, rot, or become brittle like other edgings on the market and straight runs or curves can be created with ease. It is made in the U.S.A. from recycled material, is non-toxic, and has excellent corrosion resistance. Available in a variety of colors: silver (non-painted), black, brown, bronze and green. Applications suggestions include landscape beds, tree rings, walkways and pathways, brick or stone patios, gardens, drip edges and more. Installation instructions provided under Technical Specifications below. 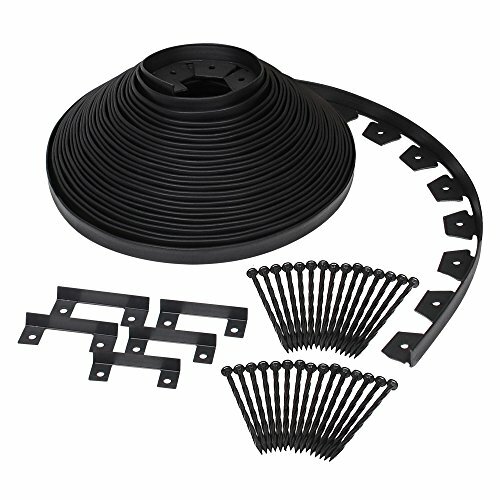 Get clean and professional looking patios, walkways, and driveways in a single afternoon with the EasyFlex Commercial Grade Aluminum Paver Landscape Edging Kit. Easy to customize and install, this silver paver edging has all the materials you need to create a sturdy hold for your brick and paver designs: 8 6-foot aluminum segments, and 24 10-inch steel spiral anchoring spikes to hold pieces of edging in place. Whether you're an experienced landscaper or a DIY weekend warrior, EasyFlex Aluminum Landscape Edging makes it easy to keep your brick and paver designs in place. Designed for durability, this aluminum edging is resistant to corrosion, rust, and cracking. To install, simply cut to desired length, place along your brick or pavers, and hammer the included spikes through the holes in the tabs - then sit back and enjoy your beautiful paver design. Edge Right is the ultimate grass edging that will last a lifetime. 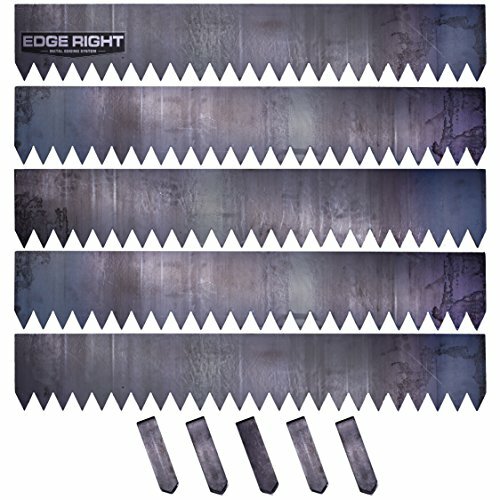 Unlike other brands Edge Right has teeth that slice through dirt with ease when hammered into the ground. The deep barrier keeps grass from sneaking under and infiltrating your flower beds, giving you more time to enjoy your weekends! Installation: For best results run along your installation line with an edger to provide a guide when inserting. Insert the border and pound in with a hammer. In order to avoid damage to the metal use a wood block rather than hitting the metal directly. Install as deep as you wish, most grass rhizomes stay in the top 2 inches of soil. Use caution where you install Edge Right, above ground edging can be a tripping hazard. About Cor-Ten Steel: This product uses 100% A606-T4 weather steel, also known as COR-TEN. 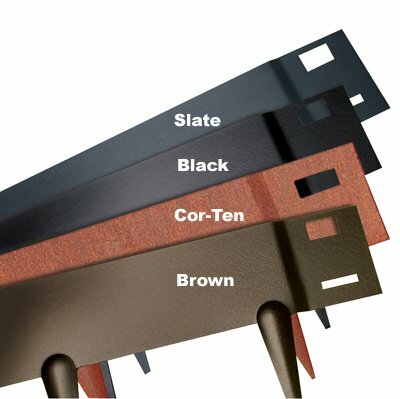 Cor-Ten is known for it's high tensile strength and unique weathering ability. Cor-Ten forms a protective rust coating that regenerates when continuously subject to the weather. Sealing Edge Right to Prevent Rust: If you wish to protect the metal surface from rusting, we recommend two products. Floetrol by Owatrol, or EVERBRITE. Before applying either product, be sure to thoroughly clean and dry the surface. 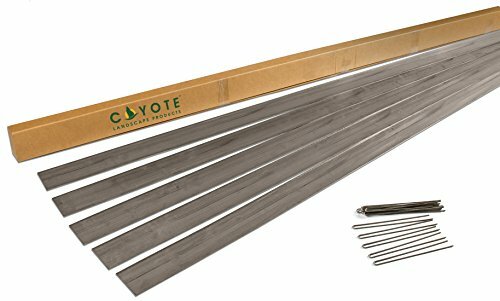 EverEdge Steel Lawn Edging 3"
6" Raw Edge Home Kits by Coyote Landscape Products are perfect for do It yourself homeowners. 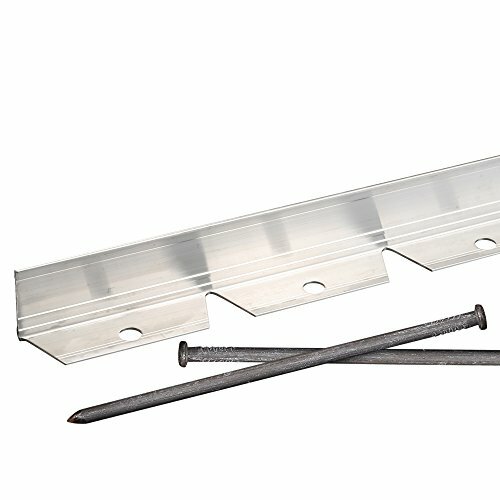 Our 8-foot-long steel edging is specially sized for easy shipping and installation. 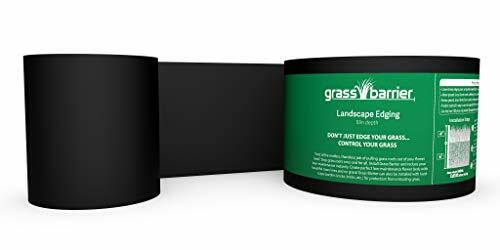 Use to permanently delineate landscape beds, walkways and gardens from lawn areas. 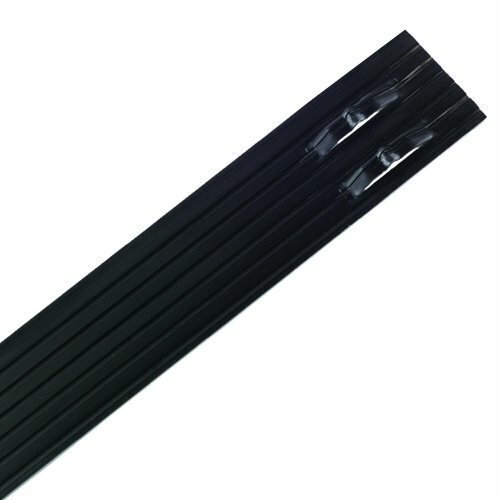 The rolled top provides an added safety factor compared to straight edging. Raw Edge Home Kit edging is approximately 6 in. tall by 8 ft. long. When ordering remember to add for lap at each joint or consider using our Raw Speed Clip for zero lap & a cleaner installation. Each kit comes with 5 ea. 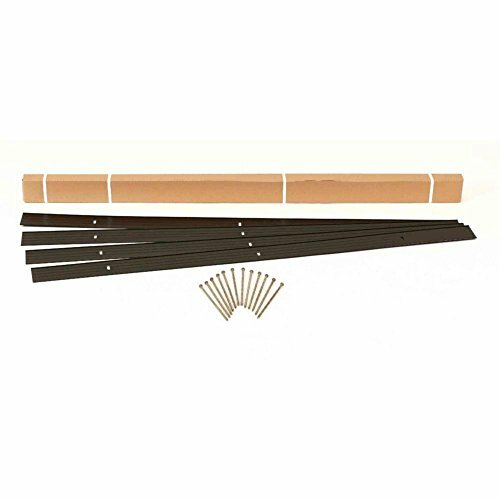 8' pieces of edging and 15 uncoated edge pins packaged in a cardboard box for delivery to your home. 6" Raw Edge Home Kits are rigid enough for clean straight runs and flexible enough for creating decorative curves with ease. Our edging is manufactured from steel, the world's most recycled material. Our Raw Edge will rust over time giving you the natural patina of raw un coated steel. Looking for more Aluminum Landscape Edging similar ideas? Try to explore these searches: Air Gun Hunting Pellets, John Deere Cutters, and Pom Slipper Sock. Look at latest related video about Aluminum Landscape Edging. Shopwizion.com is the smartest way for online shopping: compare prices of leading online shops for best deals around the web. Don't miss TOP Aluminum Landscape Edging deals, updated daily.